I have been lucky enough to meet several people throughout my life who have changed my life in some way or the other. Meeting them was a life changing experience. Some have changed my life drastically whereas some have had minor effects comparatively. 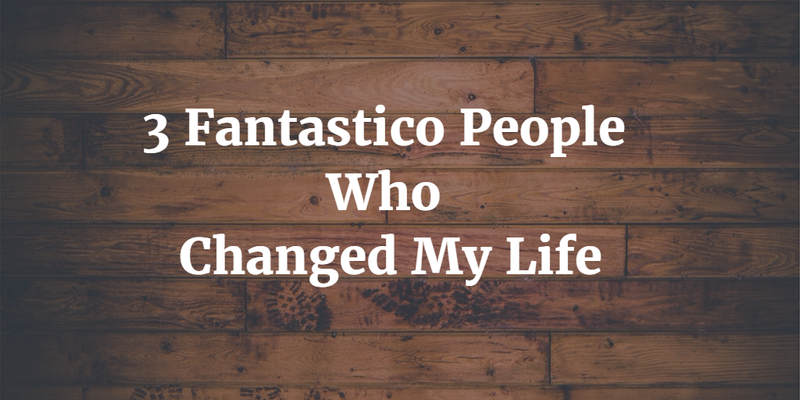 In this post I will be telling you about 3 Fantastico People Who Changed My Life. My father has always been an inspiration to me. He is my guide, mentor, philosopher and a dear friend. I really admire him a lot. Born and brought up in a low income family, he has established himself strongly without compromising on ethics. He had to face a lot of troubles during his life. However, he faced all the hurdles successfully and today he is a self made man. He has provided me with a lot of care and love. I can always expect him to be on my side whenever I face any problems or difficulties. He has had a really positive impact on my life. He is one of the fantastic people who have changed my life. Like many others, I hated maths throughout my school. This was until I met Mr.Mohan who was my maths teacher as well as my class teacher. He was the person who changed my perception about maths. I always thought of maths as a very complex and tough subject. I was childish & even foolish to think why at all the subject was included in the curriculum. However, when Mr.Mohan came as a teacher, things changed. He though maths in an extremely simple and lucid way. He provided personal attention to students as well. Today, I can safely claim that I have above average mathematical skills, all thanks to Mr.Mohan! There is a lot to be learnt from this gentle man. He is one of the richest people in India yet very humble and down to earth. He flies economy class and is known to eat at roadside restaurants. He is also one of the largest philanthropists in India. He is a very ethical person as well. His son was made to go through the routine process of interviews when he was about to join Wipro. I have learnt a lot of things like simplicity, humbleness, staying down to earth and a lot many other things from this wonderful person. I really owe you a lot sir! That’s it. This is one of the 3 most fantastic guys who have changed my life drastically. Apart from these, there are several other people who have helped me and guided me throughout my life. Share stories of fantastic people who inspired you and changed your life via comment box below. If you like this article, feel free to share it in your social circles.